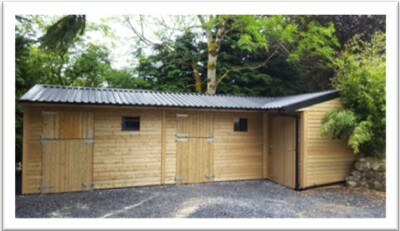 Create and install new double stable block and tack store to new arena. 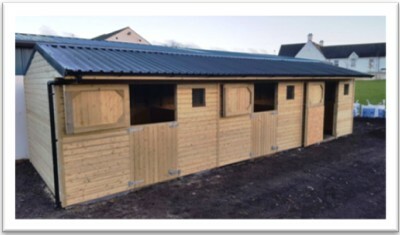 Create and install a brand new 5 block of stables to further enhance the great facilities at John’s excellent training yard. 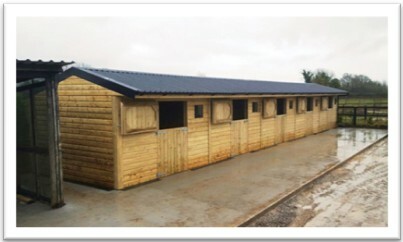 Create new double stables and feed store for Livery Yard in Banbridge, County Down. 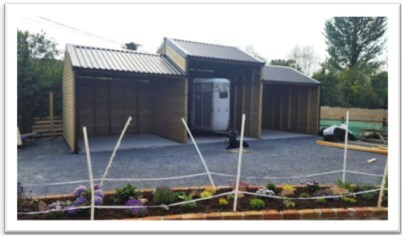 Create a full height trailer port with adjoining stores for hay, feed and tack. 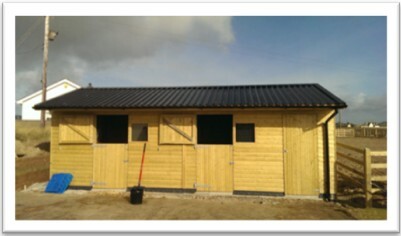 Project Outlines: Double Stable install. 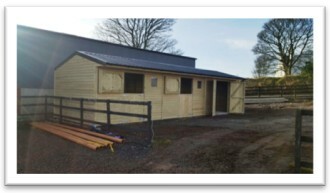 Create a Double stable and tack room located on the exposed coast at Tyrella, County Down.